Shirts With Random Triangles: Oregon St. Adds Junior College Walk-ON QB Daniel Prieto To 2016 Recruiting Class. Oregon St. 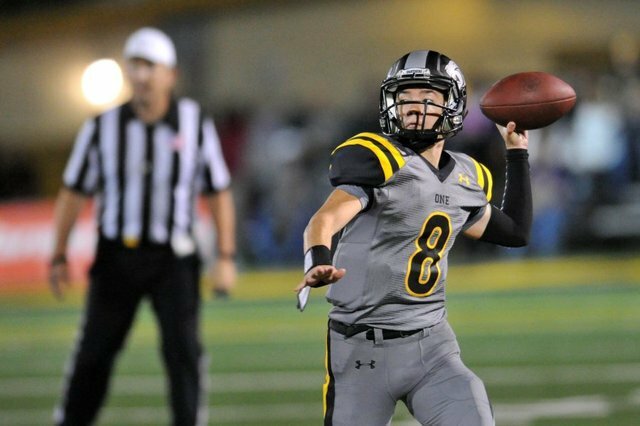 Adds Junior College Walk-ON QB Daniel Prieto To 2016 Recruiting Class. Daniel Prieto. Image via vcstar.com. Oregon State has an addition to its 2016 recruiting class. Newbury Park, Ca. junior college quarterback Daniel Prieto will join the Beavers college football program as a preferred walk-on for the 2016 season. Prieto attends Compton Community College in Compton, Ca. He stands 6'0, and weighs 173 lbs.